It has been a few months now since Nokia made its first foray into the Windows Phone mobile platform, which the Finnish company is hoping will help it regain some share of the smartphone market, and today we have news of the availability of some new updates for the Nokia Lumia 610, 710, and 900. Some of the Lumia range have only just been treated to the Tango update and now as The Droid Guy are reporting the company has announced some more firmware updates for the Lumia 610, 710, and 900. While the Lumia 900 is included in the list there is no mention of the AT&T version getting the new software, and Lumia 800 users look like having to wait a little longer. First up the Lumia 610 is being upgraded to 1066.0000.8779.12201, and will include enhancements to the sensitivity of the Proximity Sensor with the update, and the sound level has also been improved for the alarm tone. Meanwhile the Lumia 710 is getting more out of the update that includes a Wi-Fi Hotspot. Owners will now be able to share their Internet connection to up to five devices, and there is also the Flip to Silence feature added to the handset. The update for the Lumia 900 is a little disappointing as there are only a few small tweaks and enhancements, which includes improvements to screen colour. The update will make the colours on the display more vivid and sharp that will provide owners a richer image when changing from surroundings with lots of light to low light situations. There are also improvements to the Proximity Sensor sensitivity. 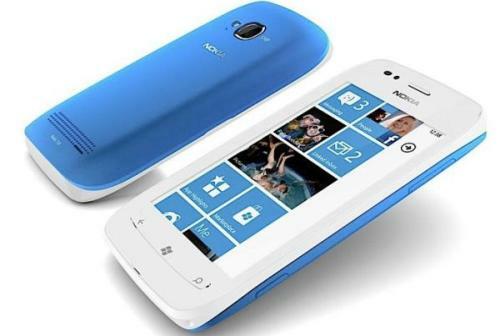 This comes after it was revealed that no current Windows Phone handsets would be receiving the Windows Apollo update, but future support was promised for the range. Have you received these latest updates yet? please deliver the update quickly ?? ?